With Apple's release of the iOS 5 there are a lot of third-party app-developers that should feel threatened. It's been long known that one very dangerous business-strategy for a software-company is to only be living between cracks of other vendors' software, providing solutions that fix a temporary glitch or a feature not yet implemented. If it's easy for a third-party to provide a fairly simple solution from the outside, then it's not hard to understand that it will probably be easier for the manufacturer themselves to come out with a similar solution, with sometimes better quality due to better access to the backend channels. The release of iOS 5 really shines a light on companies that has been making a living of operating in these cracks and soon-to-be-filled lack of functionality. All your alerts. All in one place. Threatened apps: None specifically, but the fact that you can instantly see weather and stocks then maybe the average user will skip one or two competing apps. iPad and iPod touch join the conversation. Some people call it FaceTime for messages. Threatened apps: All of the apps providing free messages over 3G and WiFi, either app-to-app, cross-platform or even apps using chat-networks. Some big players here are WhatApp Messenger, PingChat, eBuddy Messenger, IM+ and a lot more. A lot of these apps can make it up in some extra features and/or extra integration to several chat-networks, such as MSN (Live Messenger), Google Talk, Yahoo! Messanger and more. Note: This is also a very big threat to the network-operators that potentially could loose out on a lot of revenue from text-messages over the phone-network. A better way to do to-dos. The app also provides sync to iCal, Outlook and iCloud. Threatened apps: There are an endless amounts of To-Do-apps in the App Store, such as Wunderlist, Awesome Note, Evernote and many, many more. Certainly, a lot of these apps provide endless amounts of different functionality, views, visual effects and smart details, but the danger here is that a built-in app with a good set of features often is more than enough for the average user. Integrated right into iOS 5. Sign in once in iOS and use Twitter all over the platform. Threatened apps: Basically all Twitter-clients out there. We are talking TweetDeck, TwitBird, Echofon, Twitterrific, Seesmic and several more. Some of the apps in this space have integration into other social platforms, which can make up for this. All the different Twitter-clients often have completely different ways of showing the same information, which makes it easy for people to find their personal favorites. But the problem is, once again, that a built-in app often is more than enough for the average user. Capture the moment at a moment’s notice. Finally the user can start the camera-app through the lock-screen, but also actually snap the picture through pressing the volume-up-button. The images can be synced to iCloud. Threatened apps: The creators of the app Camera+ will not be very happy to hear of these new features, after they got kicked off the AppStore for a long time, for adding the capability of snapping a picture with the volume-up-button. Otherwise one could claim that maybe apps that provide sync to some central cloud-based service may be in the pipe as well. We're talking Dropbox, Box.net and such. Enhanced photo enhancements. We're talking basic editing of pictures inside iOS, such as crop, rotate, automatic enhance and removal of red-eyes. Threatened apps: There are a bunch of apps that will be rendered totally useless after this update. Some apps out there are one or two-feature apps that just provide cropping, just rotation or just red-eye-reduction. Even better site-seeing. It's not really about the web-browser in itself, but more of the features around it, like Safari Reader that shows website-content without ads or any other clutter. There is also Reading List that lets the user save webpages for reading later. iPad also gets tabbed browsing right in the browser. Threatened apps: Both Instapaper and Read It Later are directly threatened by this update. Their main features are to save articles to read later, but also incorporates the technology Readability, that helps the user easier to read content on webpages. These apps have the big advantage of being cross-platform and not only working in an Apple environment. The creator of Instapaper has an interesting take on the subject, where he sees this situation as an opportunity. He thinks people will discover the feature, like it and not be entirely satisfied with the Apple-offering and seek a more premium-service, which they will provide. Some people may claim that Apple with its iOS 5 are making themselves competitors to their own third-party-developers and may inflict a lot of negativity on the third-parties' bottom-lines. 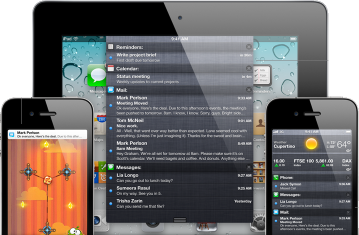 There will probably be a certain amount of apps on a collision-course with the updates in iOS 5. Some may stop their development or in worst case even shut down shop. But these third-party-vendors have chosen a niche that is known to be a dangerous bet, where they know Apple can address the issue at any time. 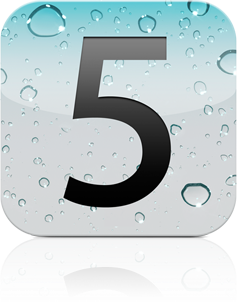 They will have to enjoy their success this far and up to the release of iOS 5, to then move on and evolve or disappear. The third-party-vendors that provide value, a quality product and something special has nothing to fear from this update. They might even see an upswing in their business from mainstream-users who potentially will discover some functionality they actually enjoy, but aren't totally satisfied with Apple's offerings and want something more, which could be their apps.